Google Tasks can be great – they’re easy to use and tied to your existing Gmail or Google Apps account. It’s definitely convenient. Getting tasks out of Gmail or Google Apps, however, can be anything but convenient. Until now. CompanionLink has supported syncing Google Tasks for some time, but it was limited to a single task list within Google. With our most recent update to CompanionLink 5, you are now able to sync multiple Google Task lists with Outlook and DejaOffice. If a task in Outlook has a category that matches a task list name in Google, then the Outlook task will sync to that list in Google. Similarly, if a task in Google has a task list name that matches a category in Outlook, then the Google task will sync to that category in Outlook. Alternatively, if a task in Outlook does not have a category that matches a task list name in Google, then the Outlook task will sync to the default list in Google. If the opposite is true and a task in Google has a task list name that is not a category in Outlook, CompanionLink will create a matching category as part of the sync process. “If you have used any business management software or CRM software you understand that duplicate records are a way of life. Salesforce duplicates are common in all size companies and contributing factor to low user adoption of Salesforce. Although it is a best practice to search before creating a record, duplicates still happen. Salesforce understands this and has tools built in to help you merge duplicate leads, accounts, and contacts. Removing Salesforce duplicate records becomes even more important when you are syncing your data to other systems using CompanionLink, since you do not want to sync any duplicates into your other tools such as Microsoft Outlook. Your sales leads in Salesforce probably came from multiple sources like purchased lists from sales lead generation companies, campaigns, trade shows, and manually entered. The Salesforce Lead Import Wizard does a good job of finding duplicates before they are mass uploaded but what do you do when they are already in the CRM system? When you first go to work a new sales lead in Salesforce, the first thing you should do is click the “Find Duplicates” button. This searches the CRM system for matching leads, contacts, accounts, and opportunities based on the lead full name, last name, company, phone number, email, or email domain. You have the option to include or exclude any of the search criteria. By doing this duplicate search first, you may find that the new sales lead is actually a contact with a slightly different spelling in your Salesforce CRM system. Or, your co-worker may have been at the same trade show and entered the same lead. Open each duplicate record in a new tab in your browser and copy any needed data from the duplicate into the master. Then copy the master record name or number and edit any related activities, attachments, or other records one at a time and paste the master record name or number into the “Related to” field. When you save, the record will be associated to your master record. Once all of the related data has been moved or associated to the master record, you can now delete the duplicate records. You may want to let the creator of the duplicate record know about it so they can be more careful in the future. You may also want to create some basic reports that you can run on a regular basis so that you can easily spot Salesforce duplicates before they get out of hand. The 2012 Consumer Electronic Show (CES) in Las Vegas may be winding down, but things are just getting started at CompanionLink. By my count, over 25 new smartphones and tablets were announced at CES this year. They range from high-end smartphones to budget-friendly tablets, and from Android to Windows Phone. As these devices are released over the next few months, we’ll be taking a closer look at them and testing them to ensure compatibility with CompanionLink and DejaOffice. It is our intention to support all of these new devices announced at CES. Stay tuned to the blog for updates on this! The Galaxy Note from Samsung has been around internationally for a few months, but is finally coming to those of us in the US. Described as a “phablet” by some, this phone features a beautiful 5.3” screen and a stylus. It’s great for productivity buffs and creative types alike. Another bit of good news from Samsung – the Galaxy Nexus is expanding its userbase to Sprint customers. No longer a Verizon exclusive, the Galaxy Nexus will be landing on Sprint’s new LTE network sometime in the next few months. 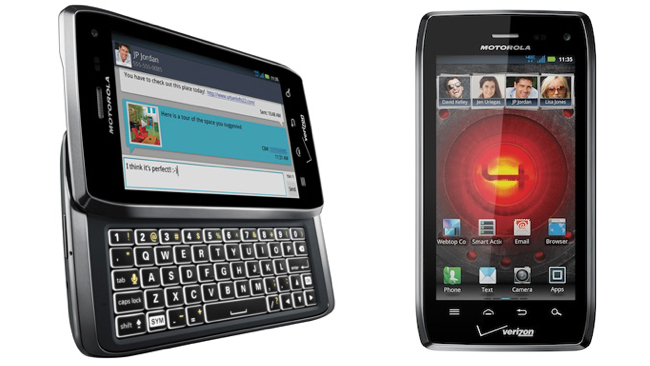 With top-of-the-line specs and Android 4.0, it’s sure to be a popular phone among Sprint customers! Not to be overshadowed by a host of Android announcements, the Windows Phone platform is gaining two great new devices. The Lumia 900 from Nokia improves upon the already quite popular Lumia 800. With a bigger screen, more cameras, a better battery life, and more, the Lumia 900 is sure to be a big hit. HTC has put out a Windows Phone sequel of its own, as well. The Titan II may look similar to last year’s model, but it packs some exciting features of its own. Chief among them are 4G data and a 16-megapixel (yes, you read that right!) camera. Yet another Windows Phone device that is sure to do quite well! While its name may sound a bit unassuming, the Eee Pad MeMO is a serious tablet. ASUS has worked a bit of magic on this one, you could say. It features a 7” screen, Android 4.0, and a quad-core processor (read: fast!) all for just $249. For those keeping score, that’s just $50 more than a Kindle Fire and the same prices as the Nook Tablet. If this tablet lives up to its specs, it will likely be quite difficult to keep on the shelves!